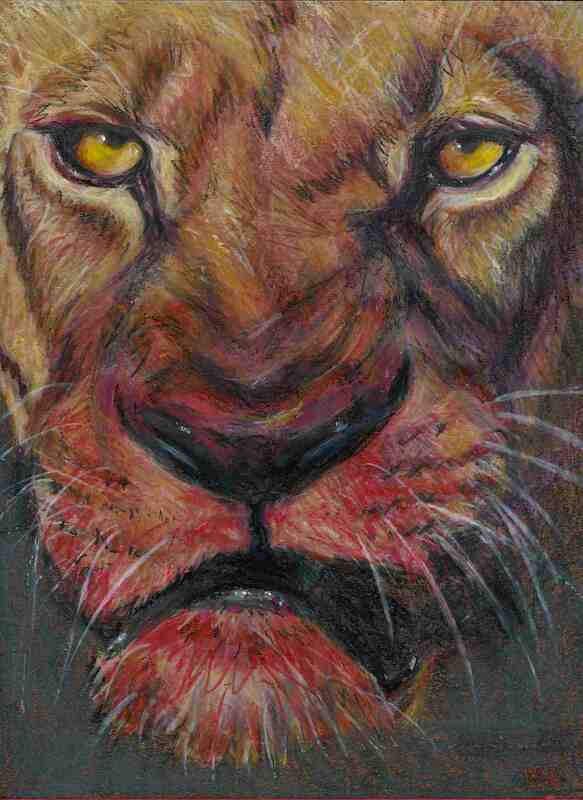 This entry was posted in My Art & Writing and tagged art, courage, endangered animals, experience, free verse, intimacy, lions, love, passion, poetry, relatioships, writing. Bookmark the permalink. Lioness is a wonderful image. Wisdom and age teaches the lioness to wait and find the right time or decline the invitation. I like this lioness, too. Like her a lot. Such a regal character, such dignity. And again, those eyes! No whammies (is that the plural of “whammy”?) for you, Miss! But … you know me, my comments will probably be long-winded and would have been greatly improved had a terrific editor I know first have gone through them with her red or purple pen. 🙂 I shall make my opinions and commentary “colorful,” using the entire pallette, in honor of my friend, the true artist. Oh, wow! Now I’m really scared! Extraordinary writing by an Extraordinary Woman! Love that lioness! AnnMarie= Number One! Loved this painting when you first posted it….or second….don’t know which but I do remember commenting on it — For me, the bloody whiskers say it all. But sadly, those lioness ribs and folded sagging skin tell another side of her…the hungry, forever hunting for sustenance side. Will she pounce or not? Only her growling stomache knows!!! Love this one! And gosh, aren’t we all a lioness at heart sometimes….as in….come with me on the connection here….should I say it or not? should I do it or not? Should I take her/him down or not? Ah….back to my reading here….